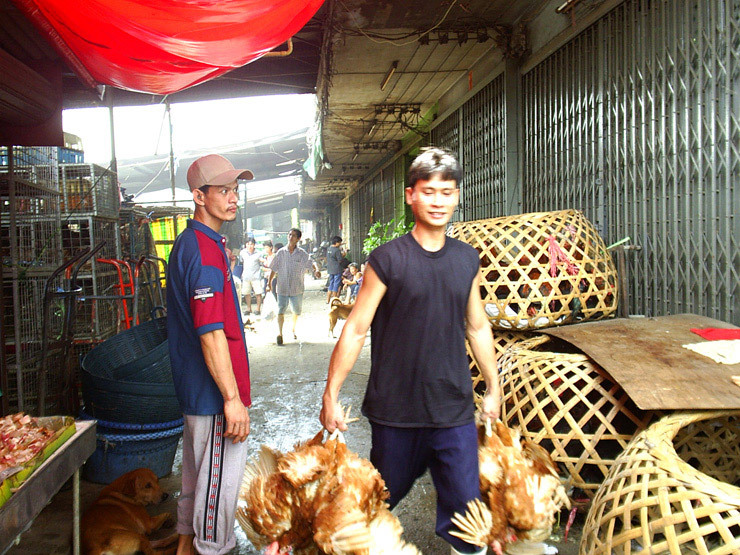 If you want to know where to find the essence of every Asian city, just head of to your local market. 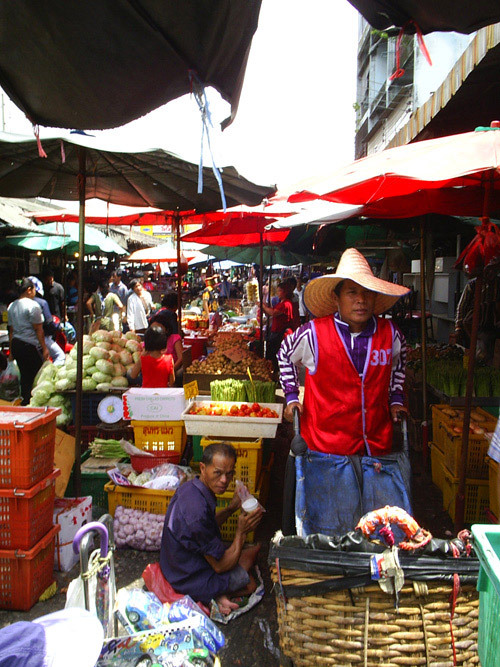 Not weekend market, not night market, just the normal produce market, and there you will find the faces of those who actually make that city run. Klong-toi market is the biggest produce market in Bangkok, and the least touristic one, if only for the simple reason it is the border of the klong-toi slum, that although is far less dangerous than slums in other countries, might still be a bit unpleasant for the occasional tourist stumbling by. But it is worth a visit. 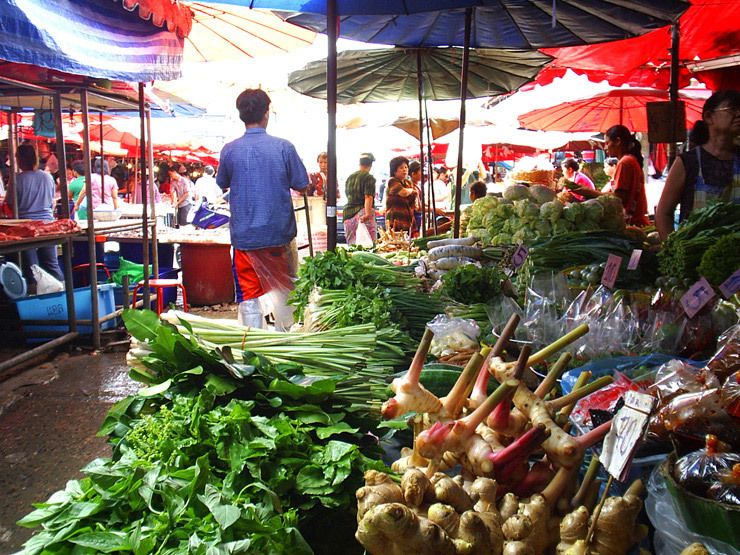 All those fancy air-conditioned restaurants on Sukhumvit catering for the hi-so and the international expat clientele get their fresh produce here. This is ground zero. And this is where I went to seek those faces to tell me the market stories. I was sitting in a taxi one lovely morning, trying to focus on what time it is, hoping I will manage to get to the market before sunrise, still in time for some dark lit workers, as the workers are already there for hours, and sunrise just means the public starts pouring in. Making it barely in time I quickly shot a couple of frames and then it all began. 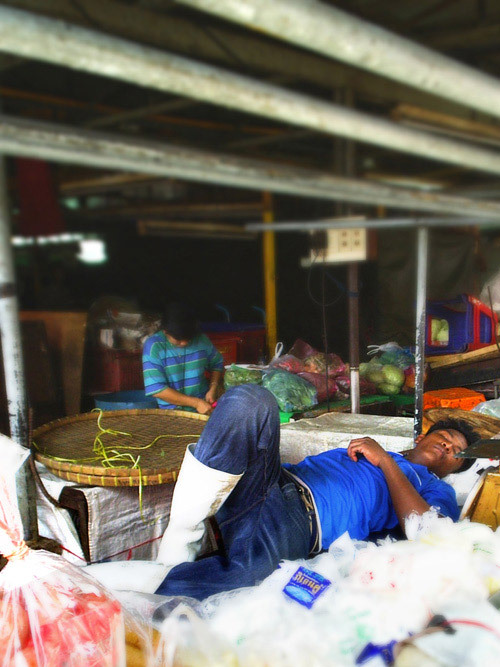 Like a bee hive waking up all at once, the level of energy in the market went from numb to leeeeeeet's go in two minutes, and I was swept away by busy merchants and clients, suppliers and family members who just sit there and make a face of family members. It was so easy finding an interesting face, a special smile, a story behind the wrinkle. It was so easy seeing humanity on public display, with very little shields, without grooming, without making life's tale beautiful. It was just there. In the first hour of the day I had to refuse at least ten different offers to join in the porters and salesmen in a morning shot of Thai whiskey, but if there is one thing I done want to start mornings with, it is Thai whisky. No matter how many scorpions and snakes you have in that bottle. By the good natured responses I got even after declining their offer, I have a suspicion it was not their first shot today. Oh well, it was almost seven o'clock after all. 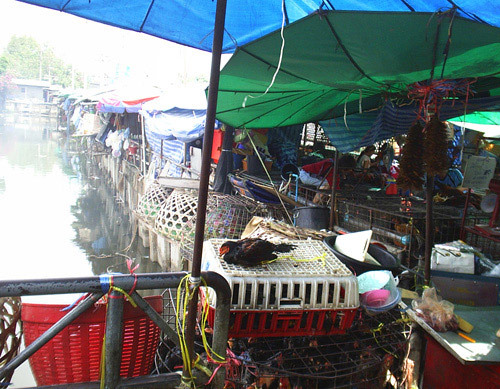 Klong toi is not a pretty market. It is not well organized, as I said this is not a tourist attraction. 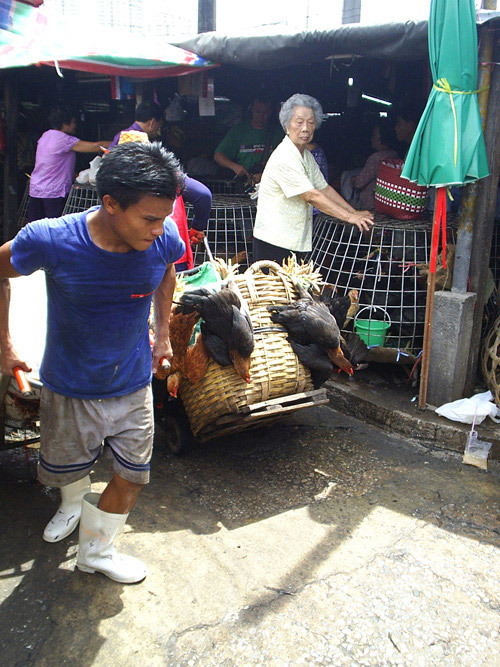 Klong toi is not an interesting market. 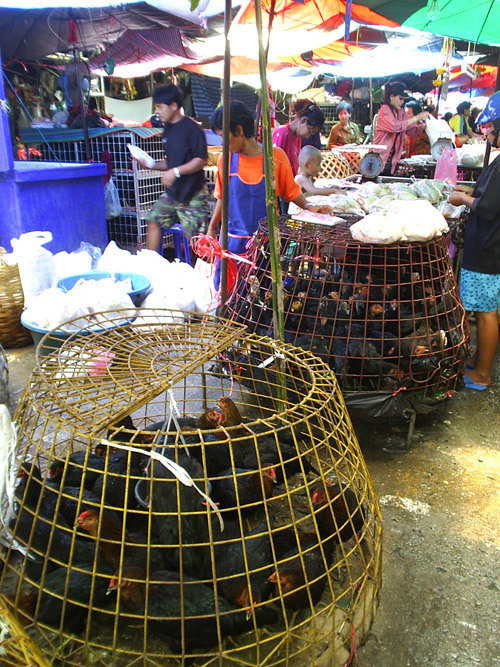 You will not find exotic souvenirs, or exotic animals like in jatujak market. 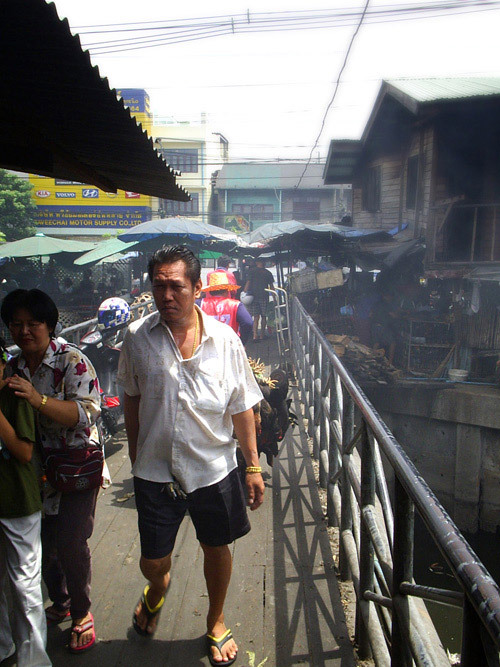 Klong toi is just a market, a filthy stinking wonderfully lyrical, sociologically accurate, mundanely brilliant Bangkok market. 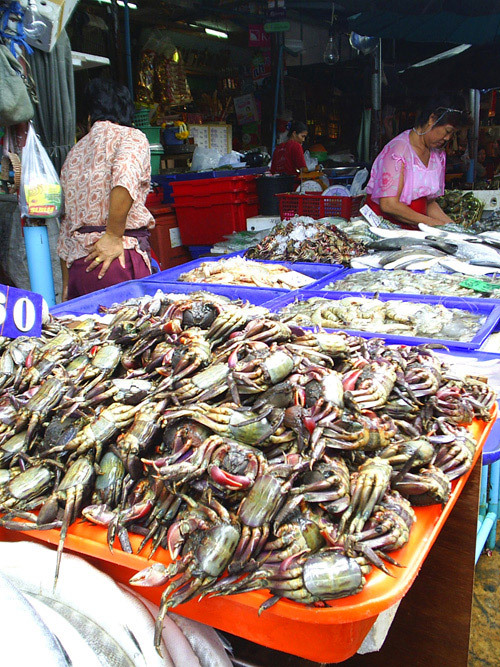 It is the epitome of what a Bangkok market should be. and that is very cool. I had to stop and try some of the local sweets and an ice coffee. That is something that is more adapt to a morning of shooting in a hot humid Asiatic marketplace, the sweets were "traditional" thai crepes and a frozen double espresso frappe. Ahm. Ok, so maybe it is not as local and primitive market as I am romantically trying to show it. But it is close. The closest I could find here in the kingdom of Thailand. All in all it was one of the more pleasant shooting mornings I have been to in years. The fact that everybody was so nice and friendly was just a nice addition to a full sensory experience of color, of smell, oh yes, smell. Oh well, it is part of the experience, and trust me, it is so worth it.